For a Healthy Life Human Contact is Indispensable! Humour, pleasure and creativity make contact easier. Step over your own prejudice and see the other person as he or she is. Discover meeting in acceptance, safety and trust. The presence of safety and trust is the basis of relationships between people. The Gentle Clowning workshop helps you to build a bridge to reach those you are with. Gentle Clowning has more to do with joy than jokes. You can meet failure and sadness with the same light friendly approach, with a sincere kindness and respect, to really make a difference. 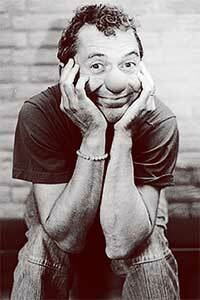 The Gentle Clowning workshop is a creation of Roelof van Wijngaarden inspired by the principals of Gentle Teaching of John McGee. Roelof started as a musician, later making a career as a teacher of clowning. Roelof has also worked teaching clown workshops in an addiction clinic and later became a hospital clown in the CliniClowns in Holland. Gentle Clowning focuses on the present not the past, in the here and now, moving from pre-conceived ideas to beneficial relationships. The disarming charm Sometimes a message comes over, not only when you use the right arguments, but also when you are on the same wavelength, with the right attitude, when the content of the message is put across in a friendly manner and a kind tone of voice. This is the disarming charm of Gentle Clowning. If you want to find the gentleclown within yourself, it is possible to attend workshops. I can see what you cannot see, I see you!